I teach two sisters (12 and 14)The 12 year-old is not overweight, talented, and has hardly any injuries outside ballet. The 14 year-old is over-weight, cannot balance, and always has ankle and knee issues. They've taken ballet for 5 years. I really don't want to hurt any feelings by keeping "Katherine" (14) off pointe and putting "Sarah" (12) en pointe, at the same time I don't want have to hold Sarah back from pointe. I've taught ballet for almost 31 years and I have never had a situation like this. What should I do?? Thanks! Thank you for contacting me, it is great to hear from you and this is a tricky one if I say so myself! I have a few thoughts to share with you. Firstly, are they in the same class? I am not sure if you teach them both privately together or not. It would be better if they were in separate classes, then their progress would move individually focusing more on their own class and not so much on each other. I totally understand what you are saying and it is not fair to Sarah to hold her back if she is showing talent. There is no doubt that she should start pointe if you feel she is ready. However, it is the issue of not upsetting Katherine and naturally, dancers will always compare themselves to others. 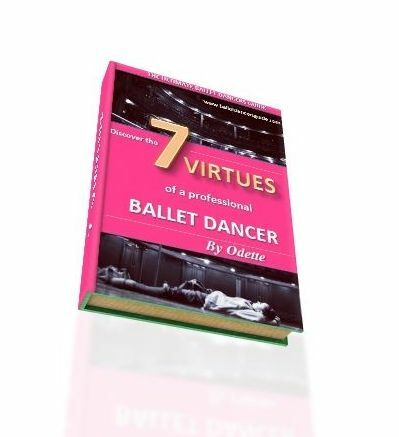 Especially these are two sisters and it is likely to happen more but at aged 14, Katherine surely must be able to judge her own ability and see that she is perhaps not ready for pointe yet or that her sister is more fitted for a dancer's potential. It is always good to balance the positive with the negative and the negative with the positive. When you allow Sarah to start pointe give her something more to improve on so she stays level headed despite the excitement of beginning pointe. Then, give something positive to Katherine and tell her what she is doing well in class so she stays motivated for class. Dancing is an entirely individual journey in which every single dancer has their own path to when they excel, or peak or improve. These two dancers are of different ages, levels and talent so it is hard to compare them. Do you what you feel is right, but Sarah should not be held back off pointe if she is ready. Please let me know what you decide or how it goes, keep in touch. !